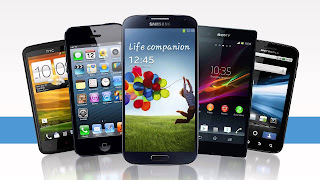 Mobile phones have become mainstream in most societies. Virtually everyone has access to one for their usage on a daily basis. Recently, I was driving through Wildey and saw a business promoting their power tools, and I got to thinking that there were mobile phone units that cost more than these tools. Neither the power tools nor the mobile units were cheap. Then my mind took me to the thought of how they were used. The power tools were used for the specific purpose for which they were intended. The mobile phone has the main characteristic of communication, however, I don't think we do it very well. Many of us seem to have the daily ritual of sending good morning messages, jokes, and bad news/warnings. Often the recipient gets the same message at least 4 times; a conversation with the sender may reveal how hard things are for them, yet they never sent a tip out as to how they may have been able to help someone in need. The thing is many are in business.